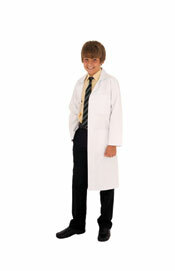 Lab Coats. Patch Pockets, Press Stud Fastening, Back Vent. 100% Cotton Pre-Shrunk Finish. Sizes: 28" to 46" Chest measurements.